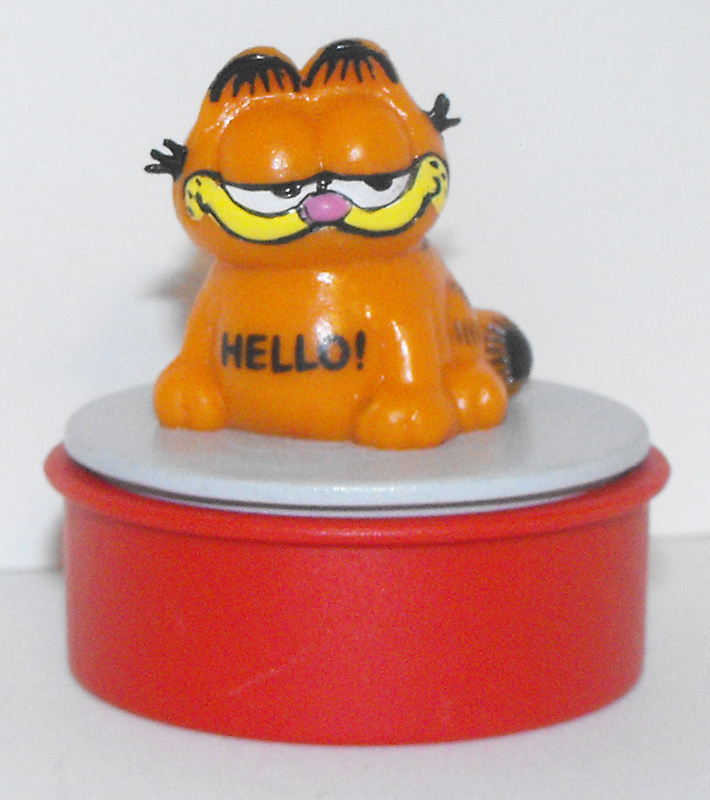 Garfield Sitting "Hello!" Red Ink Stamper, about 2 inches tall. The ink is most likely dried up, but you can add ink to it.